Introducing the first jobsite chest with an independent locking drawer. The 4830-D Jobsite Chest with the Junk Truck Quick Access Drawer includes separate locking systems to for the chest and drawer. 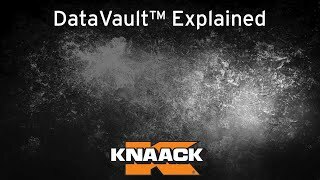 Knaack introduces Data Vault, the first ever fully protected digital plan station. Learn product details and features in this video walk-around including: - CONNECTIVITY - PRODUCTIVITY - MOBILITY - SECURITY Visit http://www.knaack.com to learn more. 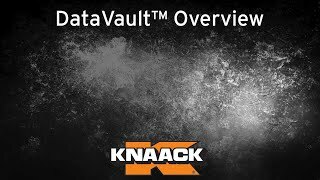 Knaack introduces the first ever fully protected digital plan station with DataVault. Connect and sync business information modeling (BIM) and digital project management tools directly to the jobsite. Improve construction productivity by reducing print costs and speeding up communication. DataVault is able to reach every job at any stage. Knaack provides the best in jobsite secure solutions. Visit http://www.knaack.com to learn more. 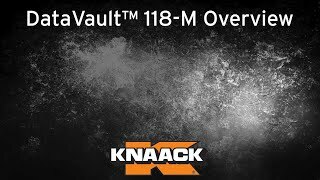 This video explains how to perform the final assembly on the model 118-01 DataVault. This mobile digital plan station is customized to the professional’s demand with technology best suited to improve business efficiency. This video explains how to perform the final assembly on the model 118-M Mobile DataVault. This digital plan station is smaller than the full-size 118-01 DataVault but will still improve business efficiency on the jobsite.